Hatz Diesel Engines supplied by Small Engine Services Calne. 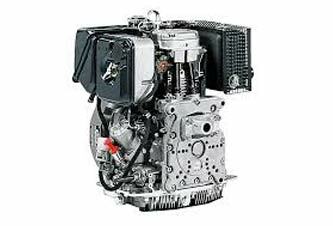 As Hatz main dealers we are able offer you spare parts & complete engines at competitive prices, Please call us on 01249 824944 with your Hatz details and we will be happy to advise you on Engines / Parts. Hatz B Series Compact & low weight gives this robust engine high marks in all applications with a power requirement up to 8 kW. Hatz D Series A single cylinder engine with an output of up to 11.2kW makes the 1D90 the highest performance diesel engine in the world. Known for its exceptional quiet running. Hatz G Series 2G40 with a power output from 9.8 to 17.0 kW, max speed of 3000 rpm & max. torque 53.6 Nm makes the 2G40 a great 2 cylinder diesel engine. Hatz H Series Hatz new model 4H50TIC The most Compact & lightweight engine for power output, water cooled 4 cylinder diesel engine. With a power from 28.7 to 55 kW, max. torque 240 Nm & max. speed 3300 rpm.